Just call us at 651-321-3647, and Pawsitivity Service Dogs will pick up your car, give you a receipt, and help you write off the donation on your taxes! Donating a car is an easy way to help dogs, and help us with our mission to rescue unwanted dogs and rehabilitate them and train them for children with autism. You get to get rid of your old car, plus your helping the community you live in. 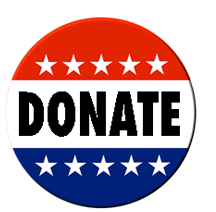 Trading a vehicle in to get a new one can be a hassle, and while you are still donating, at least this way, a part of your donation will be returned from your taxes as a tax deduction, plus you'll be helping in this important cause. If you have a car, truck, or SUV you wish to donate, the first step is easy - just call Pawsitivity Service Dogs of St. Paul, MN at 651-321-3647. We will take care off all the paperwork, and even pick the vehicle up if you want. You then get a receipt, a letter, and a tax form, and then you get to write off the Blue Book Value on your taxes. It's that easy! Just a phone call, and we'll take care of the rest. Plus, you'll get to follow the adventures of your car on Facebook, if you wish, to see how we are using your car to rescue dogs, and how the dogs are being trained to help children with autism. Call us at 651-321-3647 and donate your SUV, truck, or car to help Pawsitivity Service Dogs in the Minneapolis/St Paul, MN area today!